We also offer SUP & Aerial Yoga Teacher Trainings. Click here to learn more! Transform Your Mind, Your Body and Your Life… and Get Teaching Opportunities! Build a strong community while acquiring vital tools for living a life of Purpose, Passion, and Truth with Elka Yoga & Wellness Training. It's more than teacher training...It’s a Holistic Wellness Experience! You will Experience the best of a yoga teacher training while exploring the beauty of San Diego. Who is Elka Yoga & Wellness Training for? This one-of-a-kind program is divided into 2 parts. Part 1 is for those who wish to immerse themselves into Living Ayurveda, Yoga, Wellness and Healing. Part 2 is for those who would like to enhance their knowledge of not only the asanas, but also energetic and physical alignment, hands-on assisting and adjusting and how to teach from the heart (not a script). Build strong, lasting community...a lifetime support network! Acquire vital tools for living a life of Purpose, Passion and Truth! Tools for flourishing, thriving and BEing your best Self, your TRUE self! As you embark on this inner journey and align with your truth and purpose, you understand what makes you come alive..and you help enliven others! Lifetime Discounts to everything our Center! I totally recommend this training! "This whole experience was more than I ever expected. My main intention for taking this yoga teacher training was to gain a better, more detailed understanding of my practice of yoga. I feel that not only have I gained more knowledge, but a better appreciation for it. I have met AMAZING people that will be friends for a lifetime! Elka's energy is unique, vibrant, and contagious! I totally recommend this training!" It's one of the best decisions I've made to benefit my mind, body and spirit. "This was a truly transformational journey that I'm blessed to have experienced in my lifetime. I'm very grateful to have had Elka as a teacher and mentor. She is both amazing and inspirational. I have learned so much about myself and continue to take all the knowledge and teachings I have learned and apply them into my life. I feel exceptionally lucky to have made new friends with these incredible beings. It's one of the best decisions I've made to benefit my mind, body and spirit. It was fun, educational, adventurous...truly awesome! I highly recommend treating yourself to Elka's teachings if you want to deepen your knowledge of yoga or become a teacher. Give yourself the gift of Elka Yoga... it's a beautiful exploration of your true self." "To say that Elka's training changed my life is an understatement. The experience embodies the ineffable. If anyone is considering becoming a yoga teacher or deepening their practice, I urge you to join her program. It's one of the most inclusive teacher trainings out there, with workshops on meditation, pranayama, ayurveda, energy healing, and sacred ceremonies. You will exit her training with an understanding of your essence and authentic light. SIGN UP TODAY!" Lifetime Discounts to everything at our Center! This life-transforming program is offered in its entirety or in 2 distinct parts. The full experience is perfect for those looking to deepen their knowledge and practice or anyone who would like to become a certified yoga teacher. Those who are interested in specific curriculum can choose between Part 1 and Part 2. Phase 1 focuses on self-exploration to gain a better understanding of your energetic self, how your body functions and how to improve physical, spiritual and mental capabilities. Utilizing ancient yoga philosophies, Elka provides tools for understanding the mind, spirit and body within which you dwell. Phase 2 focuses on anatomy, teaching methodology and the business of yoga.During this phase, you gain a deep understanding behind the asanas and how they relate to injuries, body types and the flow of Prana through your body. Additionally, students will learn practical sequencing methods, asana adjustments and how to promote themselves in the yoga community. Apply yoga's philosophy into your practice, and into your life. Explore the Chakras and learn how they impact our lives physically, emotionally and spiritually. Discover the basics of Ayurveda ("science of life") and learn how to apply these concepts. Experience living Yoga & Ayurveda according to the season. Discover the power of Clarity Breathwork with Dana Delong - Dharma Devi. Study the Sutras and learn how to apply this knowledge into your practice. Learn the benefits of yoga through healing energy, chakras and nadis. Learn the 5 forms of prana and how to apply these by understanding subtle anatomy. Experience Mythanasa: learn myths behind asanas and embody poses to express these myths. Learn the practical systems of pranayama, meditation and chanting. Discover Poojas Ceremony: learn how to create an altar and ritual for meditation. Experience SUP Yoga Workshop: You will have fun and truly feel the power of being present. Learn how to cleanse your aura with the powerful healing of crystals and energy work. Enjoy Outdoor Practice and be in touch with nature. Discover the power of connecting with *surprise* at Black's Beach in La Jolla. Enjoy circle time to connect with each other and build a community. Discover The Radiance Sutras and Meditation Made Easy with Lorin Roche, Master of Tantra! Introduction to Reiki with Reiki Master Trisha Huszka, owner of OB Massage. Focus on alignment of asanas: learn to read the subtle body of energetic alignment. Learn how to be confident with the art of touch, hands-on adjustments and assistance. Practice Acroyoga to build confidence and trust within and with each other. Learn introduction to Thai Massage: Only Yoga Teacher Training in San Diego to offer this! Understand the importance of a safe and balanced class through the art of yoga sequencing. Experience Antigravity Aerial Yoga: a fusion of acrobatics, yoga, pilates and basic gymnastics. Learn yoga for injuries/disabilities: explore modifications in asanas, including the use of props. Learn foundations of anatomy and physiology, and how to apply this into your teaching style. Learn how to create boundaries, and ethics with your students. Train within the teaching lab in order to practice teaching with confidence and positivity! Discover Business of Yoga: learn vital tools for promoting yourself and/or opening a studio. Experience the power of Teaching From Your Heart! Upon completing this program you will be equipped to practice safely and teach others in a range of diverse settings. 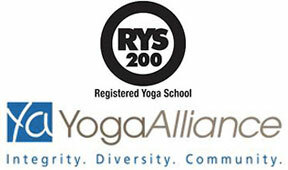 This course allows you to become a Certified Yoga Instructor, Registered with Yoga Alliance. This course also offers current teachers and holistic health practitioners deeper knowledge and inspiration to evolve further on their path. All Elka Yoga & Wellness graduates are offered support on their journey. We guarantee you will graduate with a wealth of knowledge, a strong support network, a warm, open heart, and if you'd like....a space to teach! 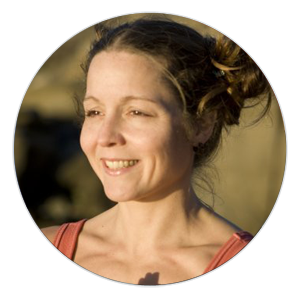 Elka is a worldwide yoga teacher sharing a juicy yoga practice like none other. Since 2002, she has successfully owned and operated a San Diego based yoga studio, trained hundreds of yoga professionals, held enlightening workshops, and led yoga retreats throughout the globe. Elka is the creator of Yoga Samba Dance, inspired by the soul of her homeland in Northeast Brazil. She is also the creator of Choco Vinyasa, a delicious blend of energetic movement, exotic chocolate, and the freedom to shake your booty. With thousands of hours of teaching experience, she is an Experienced Registered Yoga Teacher (E-RYT 500) with Yoga Alliance. Additionally, she holds certifications in Holistic Massage Therapy, specializing in Thai Medical Massage, Reiki, Deep Tissue, Neuromuscular Therapy and Tuina. Her infectious personality, combined with years of knowledge and experience will give you a juicy practice that will stay with you for life. 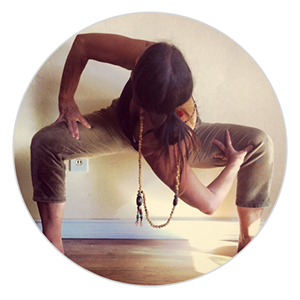 Elka’s authenticity inspires her community to keep the integrity of yoga. She believes that yoga is not merely stretches and exercise, but a deeper connection with our essence. To embody this belief, Elka and her community of volunteer yogis have supported Casa Hogar, an orphanage in Tijuana, Mexico since 2009. This expression of Seva Yoga (yoga for service) allows Elka to spread the happiness in her heart, from where her yoga springs. Elka’s belief in yoga and its ability to heal the mind and spirit are rooted in the way in which she was personally transformed by this practice. She discovered yoga while experiencing a severe depression that she felt had no end. Yoga and meditation allowed her to become aware of and work through her emotions instead of being controlled by them. This personal transformation allows Elka to help students struggling with anxiety and depression find new pathways to their heart, illuminating their own journey. If you have tried meditation and struggled with getting your mind to be still and quiet, you are not alone. Join us for this enlightening and inspiring workshop led by Master Teacher, Rohit Juneja, where you will discover how to effortlessly quiet the mind. A mind that no longer judges or criticizes, a mind that is your friend and not enemy, a mind that faithfully serves you, respects and loves you. Open up to this 'magic' and you will start to live as never before. Reiki is a natural and safe method of healing and self-improvement that everyone can use. In this amazing workshop you will learn how to help heal, harmonize, and balance the body through energetic healing. Don’t miss this opportunity to learn from a Reiki Master and become your own healer! Myth-Asana® was created to further instill a deep sense of connection to all, and to remember who each one of us is. Teresa developed the World Mythology Program for her 12th graders through the highly prestigious University of California Standards. Myth-Asana® explores our beloved poses, such as the warrior sequences and moon series, among others, in a highly unique and playful way. So come prepared to be moved and mystified as you reconnect to the ancient practice. This profound pranayama technique is an active meditation that encourages stuck energy to move and flow throughout your physical, mental, and emotional bodies. This is your opportunity to energetically release what you've been holding onto, that which isn't yours or no longer serves you. Melodee's passion and purpose are to guide individuals into connection with their innate wisdom and ability to heal themselves with the powerful tool of breath work. 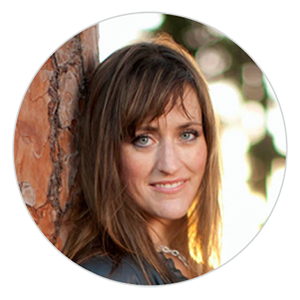 Melodee has highly developed her awareness around energy healing through working with some of the most preeminent healers from around the world and continues her training and close apprenticeship with her teachers. She facilitates groups, trainings, and individual healing sessions. Emphasizing the mind, body, spirit connection through breath, stillness, movement, and grace, Olivia’s style is one of raw connection and internal light. Using techniques of spiritual psychology, you will begin to shift your perspective in areas of pain and suffering to understanding and compassion. Learn from the ‘Queen of Vinyasa’ and take your practice and teaching to a whole new level! In this workshop, we will discover the art of sequencing, flowing, and creating an experience for yourself and your students. Travel into the world of fluid movement, rhythm and grace. Get ready to move your body, mind and spirit! Diane is a local yoga instructor and movement science specialist, who has studied and taught a variety of yoga styles for the past 20 years. Her teaching methods meld Western movement sciences and Eastern healing philosophies with heart-centered awareness practices. She has been faculty in a number of yoga teacher training programs since 2006, teaching a wide range of relevant topics. And while she loves all things yoga, her favorite topics to explore and teach are human anatomy and physiology as they relate to Hatha Yoga traditions. Diane is also the author of “Instructing Hatha Yoga: A Guide for Teachers and Students 2nd ed.”, which is used in numerous yoga teacher training programs throughout the world. SAVE $500 with our Early Bird Pricing! If you know this is for you, take action today and secure your place now. Limited space allows for a personalized, hands-on training for YOU! Don’t wait!! Pay only $500 now to hold your place. *Interest-Free Payment Plans available! We will send you the details once you sign up. Step 1: You will be required to fill out a short online application. Step 2: You will be taken to a secure page to pay a $500 deposit (or you can choose to pay in full). Step 3: You will receive an email from Cintia with your book and supply list, manual, schedule & syllabus. Attend our Elka Yoga & Wellness Training & in the extremely unlikely event that by the end of Part 1 you feel you are not the right person for the course, we will refund your tuition for part 2 minus the non-refundable deposit fee. We want to make it totally risk free for you because we believe that once you begin this journey, your life will change in ways you could never have thought possible! You will find your Voice: Everyone comes out this Experience with a unique voice which allows us to touch more lives. Your will find more Confidence: You will graduate as a qualified instructor who knows how to lead a class from the heart, with grace, compassion, and intention. 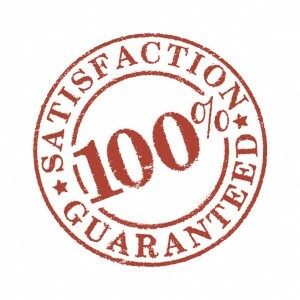 Plus you get: A guaranteed teaching job after completing all requirements! Have Questions or want to book in for a Free Information Session? 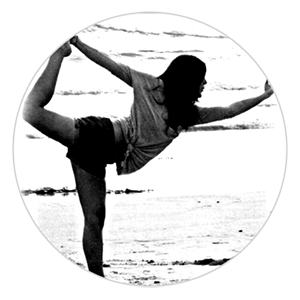 Join our community, enhance your practice and stretch yourself to new limits. This small, intimate, one-of-a-kind training is taught by Olivia Cecchettini and Tmac, an incredible dynamic duo who love what they do! Our 40 hour intensive training also includes teaching opportunities upon graduation! and take your practice to the NEXT LEVEL! Picture yourself on the San Diego Bay, hanging out with fun people and learning how to create a successful yoga program on water! Yoga on the water is powerful and healing because you are experiencing a deeper connection with the MahaPrana (energy of the elements). This unique Teacher Training is designed for yoga practitioners of all styles. You will “paddle” away capable of designing a joyful, safe and dynamic experience on the water. Learn how to create a Yoga Flow Sequence on the water with unique sequences by Elka Haeckel, developed and designed specifically for Paddle Board Yoga. Elka offers fresh and creative features throughout her training, including utilizing the paddle as a tool for finding balance on the board. Strengthen Paddle Boarding Skills: Learn how to stand up with confidence on the paddle board. Discover vital strokes for controlling speed and maneuvering with ease and grace. Discover Paddle Board History: Learn the history behind this unique water sport and uncover the materials used to make the boards. Understand Paddle Board Gear Requirements & SUP Yoga Preferences: Learn how to choose and utilize the correct boards for yoga. Discover the kind of gear to use to anchor students and instructors. Additionally, discover what gear is needed and legally required, as well as, what gear an instructor should always carry. You will also learn how to utilize this gear to always ensure the safety of your students. Discover vital tools for Creating your SUP YOGA Business: Learn the most effective methods for marketing your classes to the community. Learn the details of location permits and how to negotiate these permits. Also understand how to negotiate public and private property access and parking and water access. Additionally, you will learn essential information for pricing classes, taking payments on-site, liability insurance and waivers, and marketing and partnering with yoga studios and board rental shops. You will also discover vital tools for creating an online presence, including booking classes and registration, and creating a viral marketing movement using social media and more! Rental of paddle board, paddle, and life vest is included. This training is truly one-of-a-kind! Space is limited so sign up now!